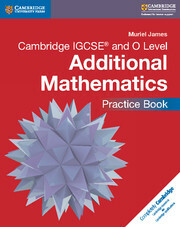 This Practice Book is for students following the Cambridge IGCSE® and O Level Additional Mathematics (0606/4037) syllabuses and goes alongside the Cambridge coursebook for this syllabus. 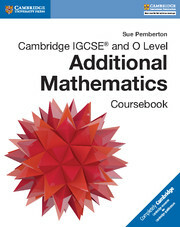 It offers additional worked examples and exercises for all topics in the coursebook to help students practice and consolidate the mathematical skills required of the course. 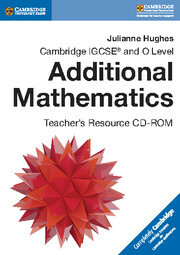 Recall feature at the beginning of chapters to help students recall new concepts learnt in the coursebook. Comprehensive set of further practice exercises to help students feel confident about skills.